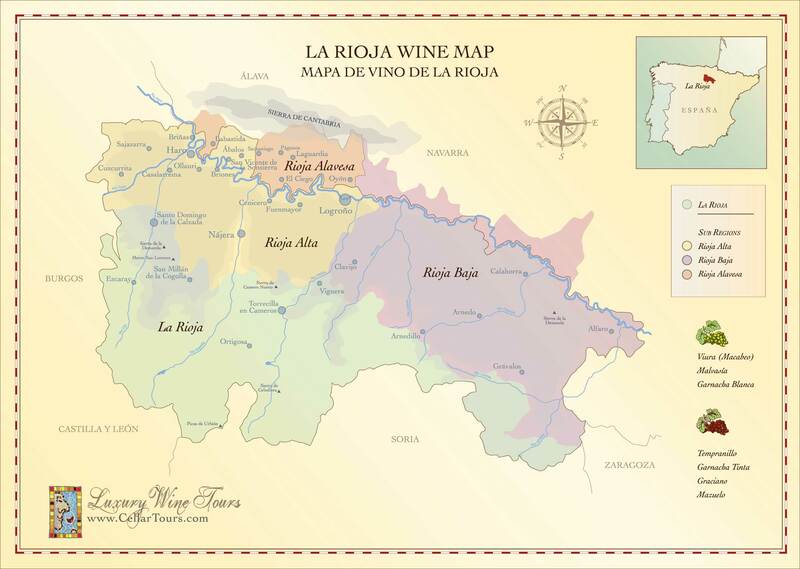 Rioja is a region in Spain with a long, glorious vinicultural history. Rioja wine, especially the red, has been well known for centuries. The Rioja vineyards were planted even before the traditional bringers of wine, the expanding Romans, moved into the area. Rioja is made from a blend of grape varieties, with Tempranillo the dominant grape. Spain is very proud of its indigenous Tempranillo grape because they have been making it into wine for over 2,000 years. Unlike other countries that have adopted grapes that were originally indigenous to France of Italy, Tempranillo was born and cultivated in Spain. Rioja Alta produces the highest quality wines with great verve and balance. Rioja Alavesa produces full bodied and high acid wines. Rioja Baja produces wines of ripeness and power. BOHEDAL (Cuzcurrita de Rio Tirón, Rioja Alta) are all about producing fun, approachable wines that can be enjoyed at any moment, in any company. They’ll never be the biggest winery in the world; but nor would they want to be. They believe strongly in the quality of their wines, their lands and their skill at getting the very best out every one of their grapes. Bohedal owns 20 hectares of vineyard with a high quality of the Doca RIOJA, one of the world's most prized grapes. 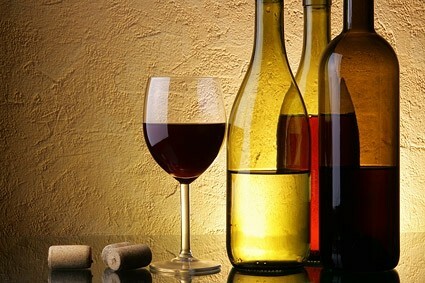 The wines, made exclusively from grapes grown in their own vineyards and, are harvested manually. CASTILLO DE MENDOZA (San Vicente de la Sonsierra, Rioja Alta) The establishment of Castillo de Mendoza winery dates back to 1994, when the Mendoza-Cadarso family, descendants of several generations of wine growers, decided to resume the family tradition and thus fulfil one of their dreams: opening their own winery. The winery is located in the Rioja area of San Vicente de la Sonsierra, where the family originate from, located in La Rioja Alta (High Rioja) and world widely known for the extraordinary quality of its wines as well as its old vine growing tradition. Equipped with the best and latest technology, the new winery, combines modern facilities with an underground wine cellar dug in bare rock following the old tradition of this emblematic Rioja region. DAVID MORENO (Badarán, Rioja Alta) has a winemaking tradition which dates back to 1912 when Pociano Moreno built the first wine cellar with capacity for 18,000 litres. In 1963 the family moved to Barcelona in search of a better future than that offered by farming communities at that time. At the end of 1981 David Moreno decided to leave his job as a Technical Engineer and move back to his village, and put into practice the winemaking knowledge he had learned from his father and grandfather and to make his dream of being a winemaker come true. The underground cellars with clay and stone walls, Don Ponciano, Abuelo Damián and La Gran Cueva provide our wines with the ideal conditions of temperature and humidity necessary for successful ageing and subsequent bottle life. MARTINEZ CORTA (Uruñuela, Rioja Alta) was born with the effort and work of a family devoted to the world of wine for four generations. Vineyard cultivation has remained unchanged by the family from great-grandfather to now. They decided 50 years ago to focus on the development of high quality wines which come from 70 hectares of vineyards that have been cultivated for several generations. The Mediterranean climate is reflected in the humidity generated by the Ebro river, contributing to the unique nuances of the vineyards. Combined with topographic factors, special weather conditions are created with mild winters and warm, dry summers, with large changes in temperature between day and night which is perfect for the ripening of the grapes. ZUAZO GASTON (Oyón, Rioja Alavesa) was founded in 2001, but with a family history of winegrowing since 1850. From the moment the grapes come to the cellar up to the time the wines are ready to be launched to the market, there are some essential stages for a final successful result. Pressing, Fermentation, Aging, Coupage and Bottling are some of these processes. There are very few secrets at the wine business, therefore. choosing and cultivating with care the land is fundamental to success. We respect to the lessons learned from their ancestors they apply modern and sustainable techniques that give get grapes. ORTEGA EZQUERRO (Tudelilla, Rioja Baja) is a family of winemakers who have managed to adapt to the new times; retaining the philosophy of quality and craftsmanship in its wines, yet adapting to present day Oenology. The history of Ortega Ezquerro was born with Quintín Ortega, back in the year 1896, when he planted the first vineyards. Today, Carmelo Ortega, grandson of Quintín Ortega and current manager of the family, is the person responsible for the working of the winery. Carmelo, in his eagerness to constantly evolve and improve, has continually improved the quality of the DOCa wines without ever losing the origins of this ‘village wine’.